There has been a lot of rumors about new BMW’s 6 Series. When first spy shots of masked sports car swarm the internet, many instantly dubbed it as a new generation of Beemer’s flagship coupe. Later it became clear that novelty in question is actually a resurrection of 8 moniker, bringing some to the conclusion that new 6 Series might become lighter and agiler giving some headache to 911 since mentioned bigger number was reserved for top GT luxury. It seems now that rumors may lay to rest as new 6 Series is here, just not in a way that you imagined. Good question. 2018 BMW 6 Series Gran Turismo is definitely not 6 Series successor, as much as it is definitely not a coupe or convertible or anything sporty in that manner. Gran Turismo part of the name will explain everything, as we are here to talk about next generation of 5 Series Gran Turismo. BMW purists will definitely dislike the fact that least graceful thing in BMW’s lineup now wears 6 label, as much as the fact that this obviously signs that regular coupe and convertible justifiably wearing mentioned number are destined to history, again. APART FROM NUMBER, THINGS ARE THE SAME? Not quite. New name brought the new price. Apparently going from 5 to 6 just in name cost as almost seven grand more, since everything else stays 5-ish. 640i model with xDrive now starts at hefty $70k or more than $10k from certainly more elegant 540i, from which it borrows everything. Let’s say that that would be BMW’s price tag on extra space while keeping ground clearance in the realm of modest numbers. IS IT A CATASTROPHY THEN? No. New 2018 BMW 6 Series Gran Turismo is plainly gorgeous compared to the outgoing model. The clumsy and bulky shape is gone, and GT doesn’t resemble so much of a beached whale anymore. The roof is sloped further evolving into body integrated spoiler and rear could be even marked as relatively handsome this time. The previous model had its own styling approach, while this one leans more on 5 Series. And that is good. 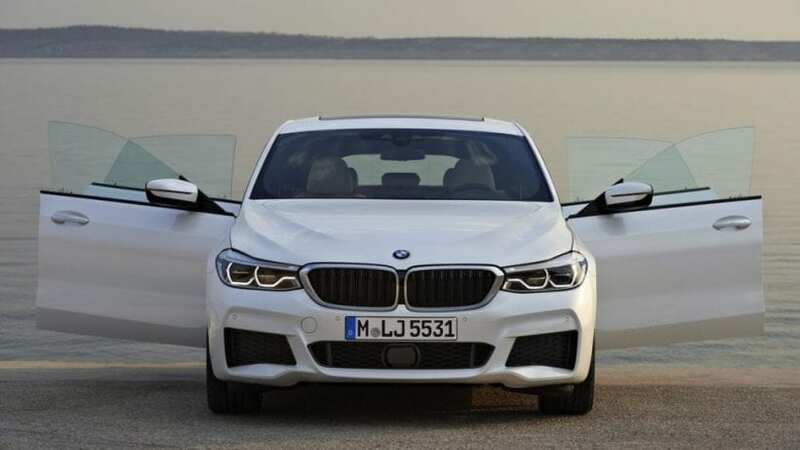 At first glance, it may seem completely as 5 Series with changed shape of the tail, but with the further observation, you will notice that everything is a bit different. Both headlights and taillights have their own shape, front bumper is completely different and even side profile has different creases and dynamic lines. On the other hand, the cabin is borrowed in unchanged form. That means lavish luxury all over the place, superbly fitted together and flavored with some fancy technology such as gesture control. Latest iDrive is projected on a 10.25-inch screen and 1,400 watt Bowers & Wilkins Diamond surround sound system with no less than 16 speakers can easily substitute delights of a concert hall. The US only gets 640i model with sublime 8-speed ZF automatic, while Europe gets 2.0-liter petrol and 3.0-liter diesel additionally. Despite the fact that new model is 3.8 inches longer, weight is down by 330 pounds, and one inch lower stance further helps more promising expectations in the driving department. Plus this time, turbocharged 3.0-liter I6 makes 335 hp and 332 lb-ft of torque, which is enough to reach 60 mph in 5.1 seconds. To make it clear, that is almost 30 hp and 40 lb-ft more than before, which reduced acceleration time by significant 1.2 seconds. 5 Series GT was an exceptionally slow seller or disappointing one if you prefer it that way. 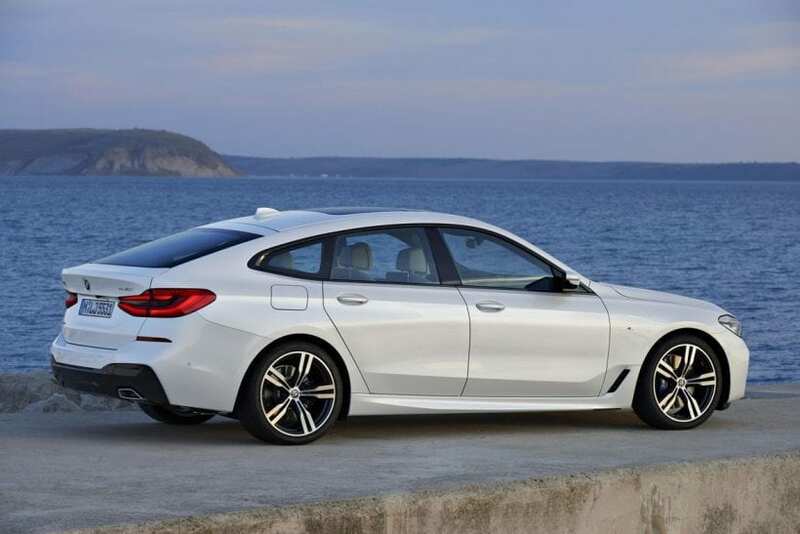 2018 BMW 6 Series Gran Turismo is definitely more handsome, more luxurious and more powerful successor, but so is ten grand cheaper latest 5 Series, on which it is based, just to mention again if it happens that some of you forgot. If you are into this kind of rather weird looking sedans, you will be pleased by manifested progress, but there is not many of you. For the end, Munich has again pulled a strange move by diluting 6 name heritage, and it took the only wrong side of current proper 6 Series and implemented it here. That would be over inflated price.